Luffy, Chopper and Usopp were sitting along the ships rail, legs crossed and fishing rods out. This was something they did quite often in order to catch fish to eat or to generally fill up the ship's aquarium. Brook was going about the ship's deck playing a soft melody on his violin, it was his favourite pastime. Zoro was in the crow's nest sleeping as usual whilst his swords sat idly next to him, Franky was in his workshop working on more things to improve the ship and Sanji was in the kitchen preparing the next meal for the crew. 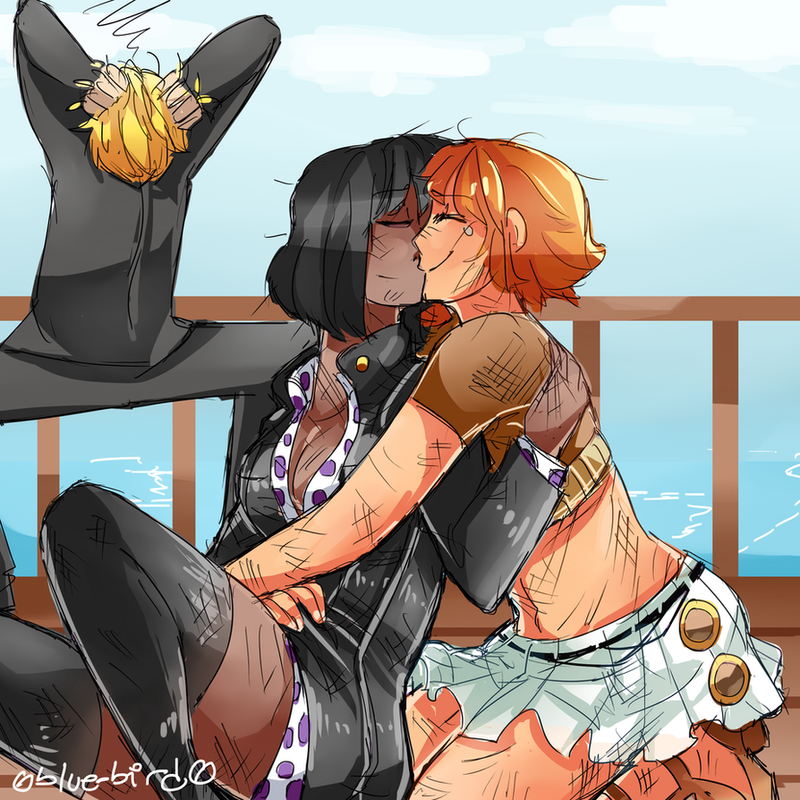 Little did they know that something was stirring up on the ship, something that involved the only female members of the crew, Nami and Robin.